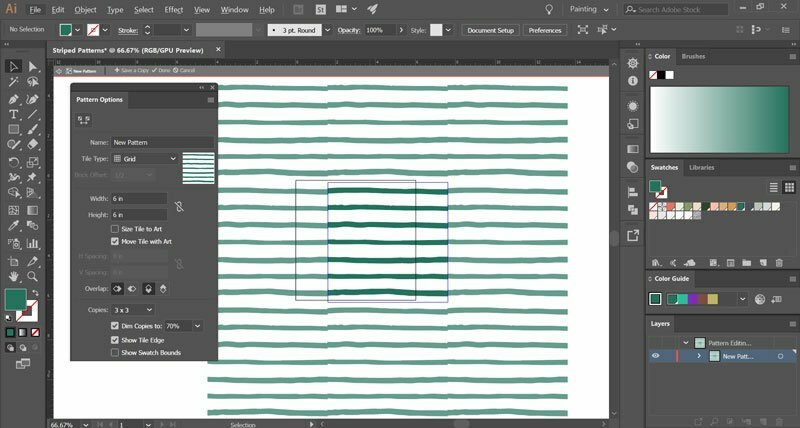 Hand-Drawn Striped Patterns in Illustrator ~ Elan Creative Co. 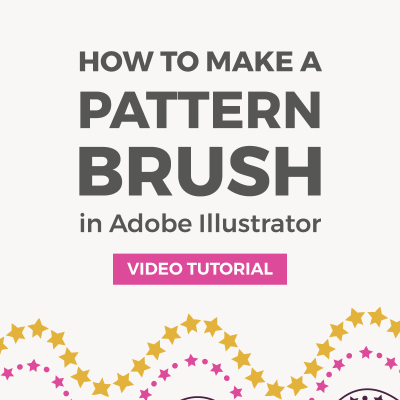 In this week’s tutorial, I want to show you how easy it is to create seamless hand-drawn striped patterns using Illustrator. 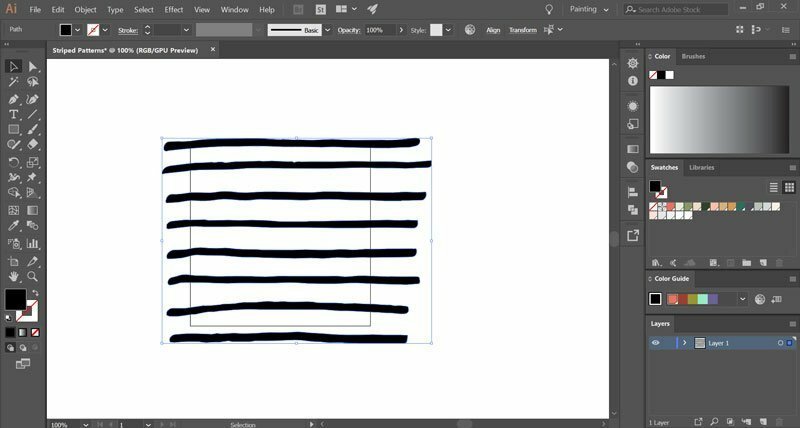 You can use your doodles or lines created with Illustrator’s brush tools. If you draw on paper, you will have to scan and vectorize your lines before you can use them. 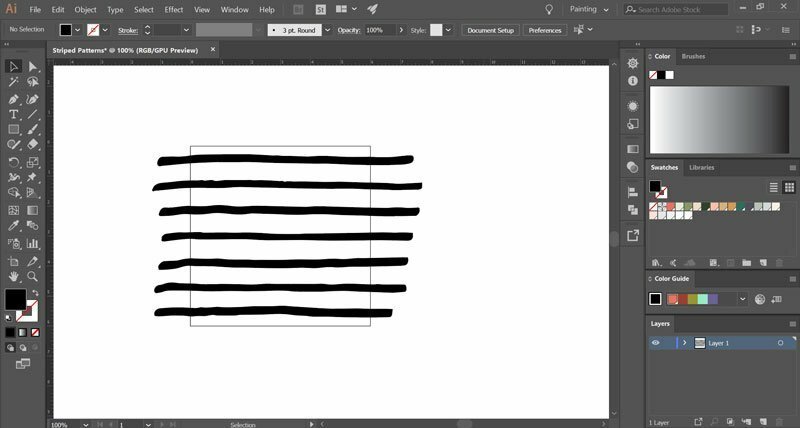 Open your vector lines in Illustrator. 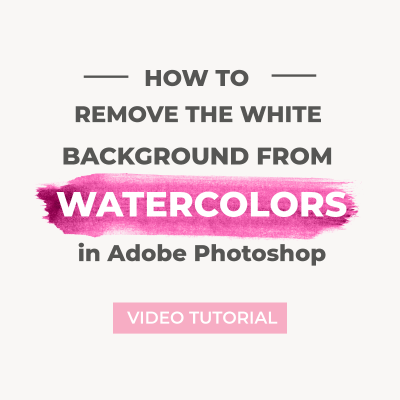 This method doesn’t work with raster images. 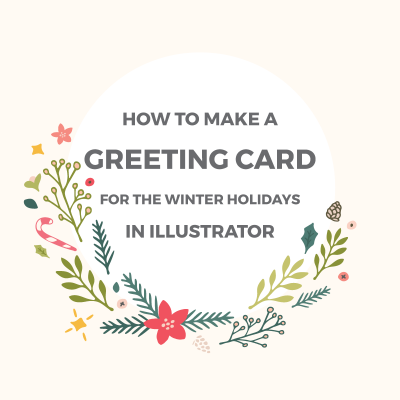 Use a guide or draw a line that’s longer than the stripes using the Line Segment tool. To create a guide, go to View > Rulers > Show Rulers (Ctrl + R). Once the rulers are visible, click on the horizontal rulers at the top of the workspace and drag a guide. Ungroup the stripes and move each line over the guide. Then rotate it until it’s straight. Do the same for all the lines. I like to use the artboard as a guide. So I will arrange the stripes on the artboard, making sure that the top and bottom lines are inside. If your lines overlap, it will be a little bit harder to make the pattern. Select all the lines and group them (Ctrl + G). We are going to crop everything that’s outside the artboard. Use the Rectangle tool (M) to create a square that’s the same size as the artboard. Mine is 6 x 6 inches. Align it to the artboard. Make sure the rectangle is on top of the stripes. The go to Window > Pathfinder to open the Pathfinder menu, select all the graphics and click on Crop. Once your pattern is cropped, go to Object > Pattern > Make to open the Pattern tool. 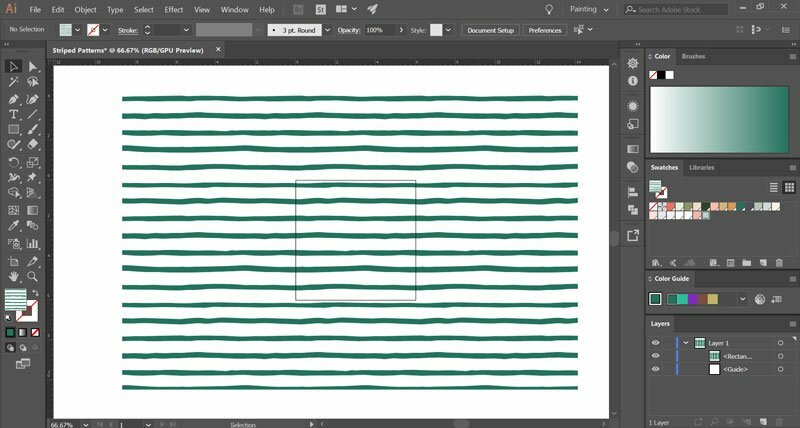 This tool is only available in Illustrator CS5 and newer, but you will be able to make hand-drawn striped patterns in older versions of Illustrator using the manual method. Just create a few copies of your stripes and then follow the next steps. The pattern I have above is not seamless because the hand-drawn lines are not straight. That’s why we will have to make the areas where they intersect smoother. You can redraw these areas using the Pencil or Brush tools, but I love to use the Direct Selection tool (A) to move anchor points. Select the first line and then click on A on your keyboard to switch to the Direct Selection tool. You will only have to manipulate one side of the pattern. Click on the anchor point you want to edit and then move it until it intersects with the other line. Do the same thing for the other anchor point. You might need to edit other anchor points along the lines. If you want, you can use the Pen tool to add or remove anchor points, or the Smooth tool to make the lines straighter. Edit all the stripes until the pattern is seamless. To save the pattern, click on Done from the top toolbar. The pattern will now appear in the Swatches panel. To make a seamless pattern tile, use the Rectangle tool to make a rectangle that’s the same size as the pattern. You can double-click on the pattern in the Swatches panel to go back to the Pattern options. You can view the size of your pattern if you don’t know it already. From the Pattern options, you can also recolor the pattern or rotate it to make a vertical hand-drawn striped pattern. To save another pattern swatch, click on Save a copy in the toolbar and then click on Cancel to exit the menu. 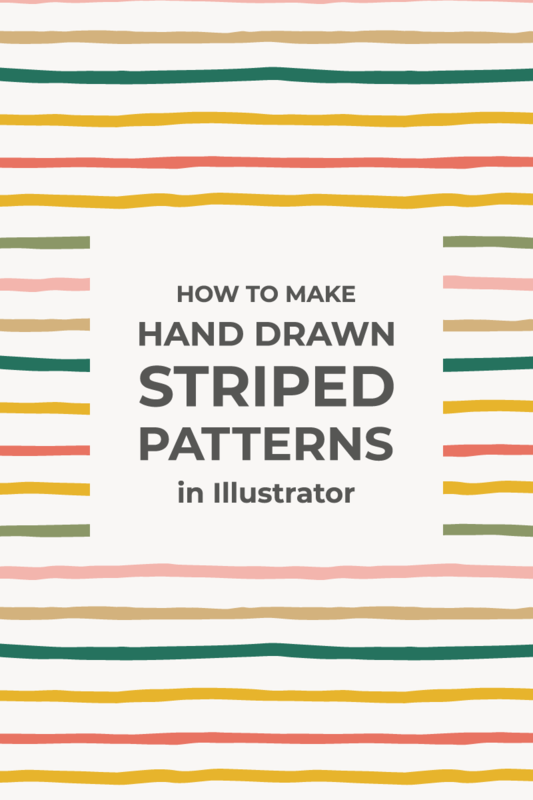 Hope you enjoy making seamless hand-drawn striped patterns! 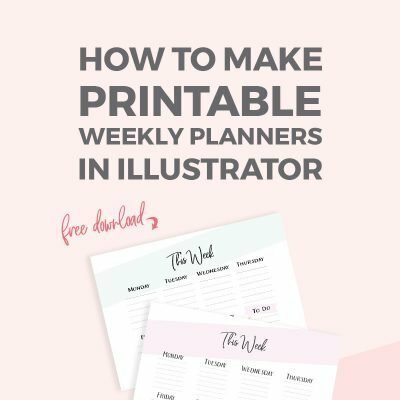 Please let me know if there are any Photoshop and Illustrator tutorials that you’d like to see.